splendid isolation: It's barely three hours to Geldie Lodge from Linn of Dee. It's barely three hours to Geldie Lodge from Linn of Dee. And three hours back. But that's leaving out of the equation the six hours that elapse from the time you leave Geldie Lodge until you return there, having wandered over Carn an Fhidhleir and An Sgarsoch in the interim. Accordingly, the trip report from yesterday will have to wait a wee while longer, as if I remain in one position for more than about 10 minutes, the blisters on the soles of my feet start acting up, but I can do you (a) a photie of the Lodge in question (which I'd never visited before) and (b) a link to a rather fascinating (if you like/know the area including, and surrounding, the Cairngorms) website. 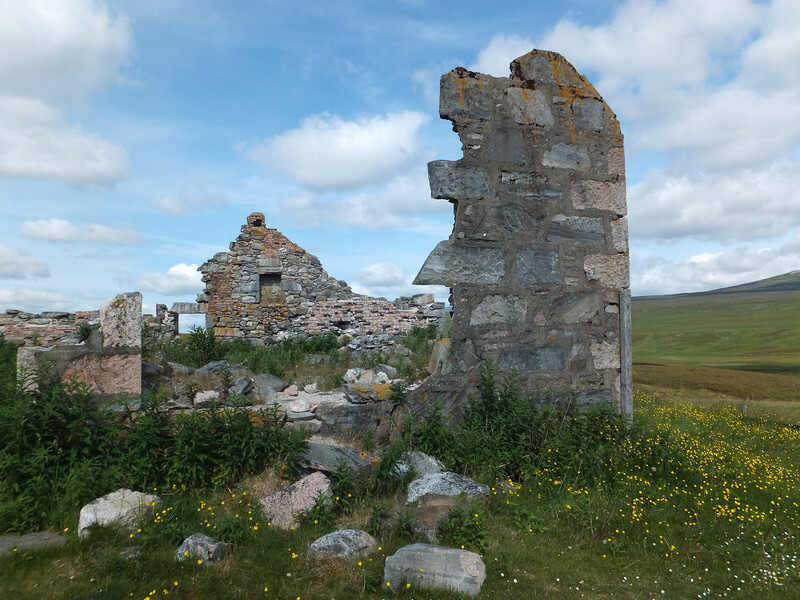 "Geldie Lodge is the (ruined) 19th century shooting lodge in upper Gleann Gheallaidh - south of Uisge Gheallaidh, on the left-bank of Allt Coire an t-Seilich. Geldie Lodge lies south of Uisge Gheallaidh, and as such, is among the Am Monadh (the Mounth) rather than Am Monadh Ruadh (the Cairngorms)." So, I may have sore feet, but at least I now understand where the 'Gorms stop. As Norman Tebbit might have said: "Ya shoulda got on yer bike." Which is what I did. But at least it looks like you had decent weather, whereas I had murk and horizontal rain. I shall look forward to the report.